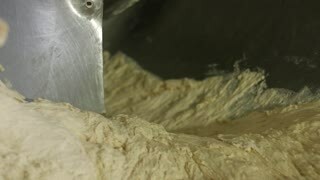 Huge mechanism for dough mixing at bakery. Machine for the production of bread. Mechanism for producing buns. 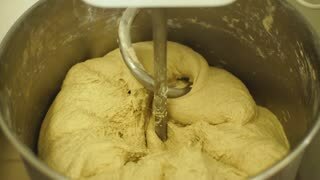 Work of bakery plant. 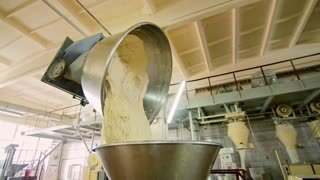 Automated production of bread. Conveyor at the bakery. Bakery equipment. 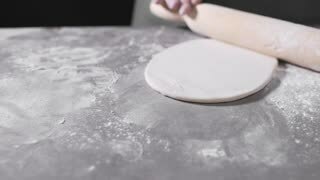 Conveyor with dough. Confectionery. Manufacture of bread. Conveyor with dough. 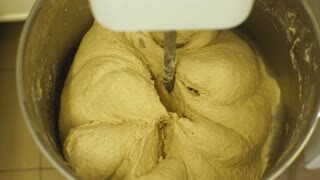 Capacity of the dough. 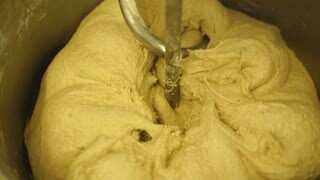 Kneading dough at the bakery. Workshop of the manufacture dough. 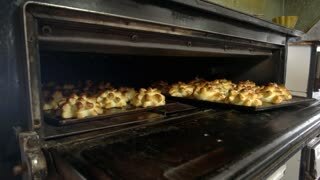 Baking of dough products in oven at bakery. Professional commercial oven at bakery. 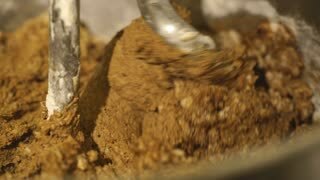 Manufacture of bakery products.